I’m talking about Hargreaves Services Plc. (OTCMKTS: HGRVF), which was founded in 1994 with the acquisition of a haulage business from RJB Mining plc which consisted out of 20 trucks and simply hauled coal around. But we will come to the history of Hargreaves later in the text. Recently the share price has tanked to just below 3 GBP which is far away from its old high of 2012. So the question is what happened? First in 2011 and 2012 some company specific news hit the share price when Hargreaves discovered in the year of 2011 that its Maltby coal mine had geo-structural issues and had to be mothballed. Later Hargreaves discovered a fraud in their Belgian operations, and took a GBP 17.7m write-down. You can see this development quite nicely in the share price development of that time. 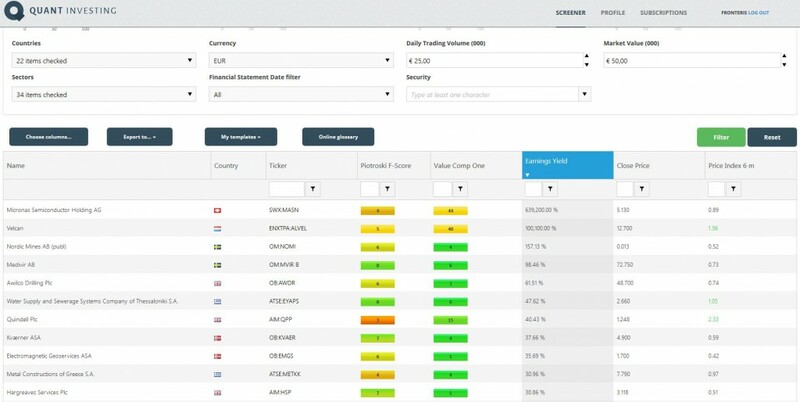 Than in 2013 many value investors found the company, it was pitched 2 times in Omaha, and called for an entry which ends in a share price stabilisation in the year of 2013 to 2014. In the same time the coal price collapsed from its high in the year of 2011, when one tonne of coal was traded at around 130 Dollar to now 58 Dollar. As coal mining companies are normally dependent on the coal price this is the explanation for the collapse of the stockrpice of Hargreaves. But Hargreaves is not a simple coal mine. The key to Hargreaves business model lies in its history. Especially the 1990’s where from importans for Hargreaves, when it continued to grow organically and bought further haulage operations. At the start of the millennium, Hargreaves Waste Services was founded and haulage diversified to hauling waste. Gordon Banham, the current CEO joined the group in 2001 and began a strategy of diversifying into higher value services. One of his first actions was to start a logistics operations (port services) in the year of 2001. In April 2004, the management team, including Mr. Banham, completed a MBO of the company. To finance the MBO a fund invested £3.5 million in debt and equity and Mr. Banham invested £1 million of his own wealth. Operationally Mr. Banham focused Hargreaves to growth by acquisitions and he completed the acquisition of coke coal production facility Monckton from UK Coal plc in the year of 2005. In the same year Hargreaves IPOed at a share price of ca. GBp 280. 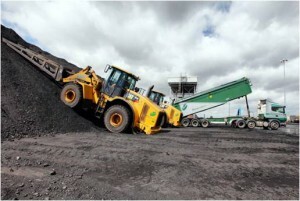 In 2006 Hargreaves founded a niche coal production and handling business which was called Coal4Energy and is till then one of the cornerstones of Hargreaves businesses. In 2013 Hargreaves started to acquire further surface mine assets in the UK mostly under distressed conditions and prices near zero. 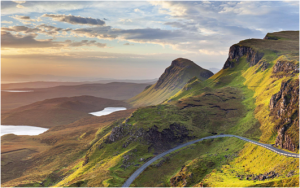 With this acquisitions he acquired significant hidden assets close to Edinburgh which are not yet reflected in Hargreaves balance sheet or share price, but lets come to this latter. From 2005 to 2014 Hargreaves was able to achieve a revenue growth of 30,5% p.a. 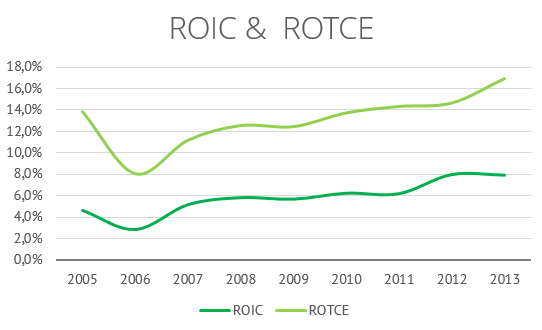 As described above, this can be partly attributed to M&A, but much of it has been organic growth. The Production and Distribution division was formed in the year of 2015 out of the Energy and Commodities and Production divisions. In the old Energy & Commodities, Hargreaves was responsible for a range of services starting from basic distribution/trading of coal (for example for power plant customers) to the mixing and creation of specialty coals, which have much higher gross margins. The key here is that across this spectrum of different value-added that Hargreaves Services provides, the higher the value, the higher the potential for value-based pricing and the higher the margins. In the past the trading of coal generate gross margins of 1.5%, for the extraction and blending and resale of specialty coals, the gross margin was greater than 7%. Hargreaves makes most of its money from extracting high value products, which is reflected in the ability to earn a spread of 27 GBP on each ton of specialty coal (At Coal prices of around 39 GBP). In the past roughly 1/3 of operating profits in this division come from sales of power station coal and 2/3 from other products, which include specialty coals, such as domestic heating coals, coking coals, low ash coals, and locomotive coals. Today the power plant coal is loss making. The production division is the division of HSP that owns/operates coal mines and manufacturers coke. It has two mines – Tower and Hatfield – both surface mines in the UK. It has also been pursuing opportunities actively, for example Hargreaves start to buy additional coal mines when prices are distressed. The historical track record of the management in doing such acquisitions, shows that they have been overall very value creating. We know that Mr. Banham requires a 20% ROCE on each project. The old production division also includes Monkton – a coke coal production plant, which has been closed in the last year but which still generates revenue. Overall, this division is a commodity business, but Hargreaves has proven to be a good operator in the UK Coal business where there now major player is left. The Transport division is one that is the largest bulk materials hauling business in the UK and is the origin of Hargreaves. It includes transportation via trucks and a fleet of barges. Due to economies of scales, more stops per tour increase the operating margins and now real competitor is left, this is a good business. In the Industrial services division, Hargreaves provides onside industrial services management. They manage the coal on the property of the customer and provide engineering and maintenance services for for the power plant operators and steel mills. Due to this, this segment is also directly influenced by the overall governmental coal regulation and plant closures. Today, Hargreaves does over 90% of its business in the United Kingdome and has some smaller subsidiaries in South Africa and Singapore. The business is normally not that cyclical as the coal is normally sold via fixed price contracts over multiple years to coal-fired power stations and steel mills. Cloud Peak Energy (NYSE: CLD) for example, disclosed in their last annual report, that they have sold the majority of its coal in contracts which have an annuity of 1 to 3 years. Nevertheless there is a long-term decline of coal demand in the world and the UK. The closing of power plants and steel mills will further decrease the revenues of Hargreaves and I’m not yet sure if the hidden assets fully compensate us for this risk. The potential threats for Hargreaves are the low Coal price and the further increasing regulation imposed by the government. The plans to shut down most of UKs coal-fired power plants in the year of 2020 impose further treats on Hargreaves and will cut its services business as well. a further threat is the so called “peak steal demand” which will propaply decrease the competitiveness of UKs steel makers further. The already low competitiveness of UK steel mills is well-known and with a further decrease in prices the situation will get worse which would lead to additional shutdowns. The shutdowns of steels mills would not only decrease the revenues from the normal coal trading but also from the services and on-side handling business of Hargreaves. Potential Risks for Hargreaves are the environmental liabilities of renaturation which are not yet observable. I have read an article which stated that the costs of the landscaping of Scotland’s opencast mines could cost as much as £200m. Another risk for Hargreaves is the rise of renewable energies, which could make the overall coal industry useless. The ongoing regulation and the rise of the green energy production are a real long-term threat for Hargreaves business as according to regulation the last powerplants should be shutdown in the year of 2022. The Customers of Hargreaves are all major utilities in UK. The sales process of Hargreaves services is a classical B2B, normally via multiple year service contracts where Hargreaves is entitled to do the onside coal handling for coal fired power plants and steel mills. Furthermore it has a services business where Hargreaves provides maintenance services for yellow goods and trucks of power plants and steel fabrics. Next to the own coal production, which is currently loss making, Hargreaves has a coal dealing business. In the coal dealing business Hargreaves source coal from the international market. Here Hargreaves doesn’t have any risk from the change in Coal prices as the Client pays the paid price. Hargreaves typically buys coal through forward markets and charges their customers the forward price + 3 GBP per ton. Hargreaves simply has now competitors of significant sizes in the distribution business of specialty coal left in Great Britain. In the normal coal production they face the competition of all coal players in the world. Due to their high breakeven level of around 50 GBP per ton they are not protected against import coal. The exportation of coal from the US to Great Britain via ships cost around 10 Dollars per ton. Given the lower cost base I think it is reasonable to say that the total cost for imported coal are around 45 Dollar or at around 32 GBP. In the classical coal production the company doesn’t have moat at all, due to the high cost production and the generally low shipping rates of the coal over the Atlantic. The more interesting business is the service and logistic operations where Hargreaves can a fixed margin on every ton which is handled by them. Nevertheless the company is for me a pure executive play, where Hargreaves is the lowest cost and now nearly only producer and supplier in town. In terms of the return on capital economics, Hargreaves Services has much better returns than many would expect – primarily because it is not simply a coal mining business but rather it is a distribution and logistics company. Additional he received benefits of 150’ GBP. Total compensation in the year of 2014 totaled 600’ GBP. The salary is highly depended on the generated bonus which was not paid out due to the bad performance. Furthermore the Management owns 7,25% of outstanding shares which is a good long-term incentive for good capital allocation such as share buybacks. Another good sign is that we know from various sources that the management has above average capabilities in regard to cost controlling. 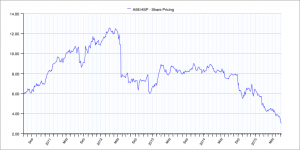 Recently the CEO has bought back shares and tries to reduce the losses in the coal production. It is good to know, that he requires a 20% ROCE for each of his projects. We can see, that the major shareholders are all known value investors. Nevertheless I have to say that, I think that most of them have many shares due to their averaging down when the share price started to fall. The Management is also major shareholder and eats with this their own cooking. I think the corporate Governance is quite strong due to the fact, that Mr. Fischer is known to fight his battles. Through the alignment of the directors, I think that they will act rational and buy back as many shares as possible with the now piling surplus cash. As already described before, Mr. Banham requires a 20% return on capital employed, which leads in combination with the asset light business of industrial services to a quite good ROCE for a mining business of around 15%. A further positive sign is, that the Cash Conversion Cycle of Hargreaves has decreased from 2010 onwards from 70 Days to now 48 Days. 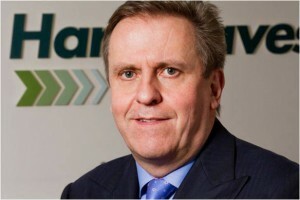 Additionally Mr. Banham has shown, that he can acquire assets to a quite good price and is able to operate the assets profitable afterwards..
Based on the last years earnings, Hargreaves looks like a bargain right from the spot. Due to the lag of European peers, I used US coal companies. We can see, that Hargreaves is especially cheap on EBIT basis. Based on a multiples approach, we can expect a TSR of 18% p.a. With one of the last acquisitions of open pit mines in Schottland, Hargreaves had acquired some valuable land near Edinburgh, to be more specific in Blindwells, near Tranet where they now develop in the first phase 1.600 houses and according to Wikipedia it is possible that they will increase this number to up to 4.000 houses. We valued the right to develop the houses with a typical project business valuation. The valuation which we derived for 1.600 houses is 16 million GBP, which is on the lower and of the valuation. Based on a per plot valuation and an average value of one plot of around 35k we would end up with 56 million GBP. This number is highly dependent on which stage of the project Hargreaves sells their right. The value of the new wind farm projects is at around 8,7 m GBP for its 43,5 MW which is derived from typical projecting valuations per megawatt in Germany. It has to be noted that due to higher yields in England this can be seen as a lower end of the potential valuation. A further potential is the land value of nearly 30.000a which we will not include in the valuation as it is a buffer for potential hidden liabilities. Due to this we think that the value of the hidden assets lies between 0,77 GBP and up to 2,17 GBP per share. If we assume, that Hargreaves can survive the recent downturns and is able to use its strong cash flow to reduce debt further (net debt is now at 1 Million GBP), Hargreaves can be a really good investment for someone who has no problem with a coal business. According to our valuation the fair share price of Hargreaves lies around 5,7 GBP. This would imply a TSR of 25,8% for an Investor. This calculation is based on the latest company fillings and includes our valuation of the Hidden Assets in the free cash flow valuation. Due to this, the decline in revenue is canceled out by the increase of the hidden assets and the recent net debt reduction. If we just look at the cash flow which is generated for us as an investor, the IRR over 5 years would be 20% p.a. Due to the three different valuation methods I feel comfortable to say, that an investment into Hargreaves is highly likely to generate a return of above 20% p.a. for an investor. As the fair share price of 5,7 GBP (if you are more aggressive in the hidden asset valuation this number would end up at 7,7 GBP) looks very attractive at today’s market value, we stay away from this investments due to our environmental agenda. Nils, when I click on the first graph, it takes me to an sales page for the quant-investing.com product. Can you link to the image directly? Thanks! it should work now, thanks for your Comment. Thanks for sharing! I wonder if you are able to estimate the 2015 income frome production & distribution. What do you expect? Another thing I’m unsure about is regarding to the hidden assets – especially the real estate developement. I thought that there were restrictions for developing new residential property in order to get price stability. But I don’t know where that information came from and didn’t do any further research. What do you think? according to the Management the production costs of the thermal coal are around 50 pounds per ton. Hargreaves is able to earn a spread of 30 pounds on the (20% of output) specialty coal and makes a loss of 13 pounds the tone on the normal coal (80% of output). At coal prices of around 38 GBP. With this Hargreaves is currently losing roughly 4.5 GBP per produced and sold ton. On the other hand they can earn a spread of +3 GBP of each sold ton which they import. In our opinion Hargreaves will be break-even in this segment, but this also depends on the potential closure of one steel mill. Nevertheless, I think Gordon Banham is able to control the costs and maintain an overall group profitability through the cycle. Can you go into more detail how you came up the value of hidden assets? Specifically, the 16m to 56m range for the 1,600 home development? Where are you pulling the comps value? And how are you coming up with the wind farm value and where did HSP disclose the MW amount? I will come up with another post, which will go into more detail. due to some internal issues we found it hard to write some updates, but be assured that the calculation and a research about the landmarks was done before our first post. But I will try to publish it on monday. Thanks for a good analysis!